I just became the president of a theater company that was formed in 1967, but stopped producing plays around 1970 – that’s 11 years before I was born. Fast forward 42 years, and we’re in the year 2012. After a couple of years working pretty hard with some equally hard working people, we’ve managed to breathe life into this company. Our kick off party was on August 18th. You can also see some press about the company on my press page. Company kicked off? Check. Funds raised? Check. Awesome video of my speech and the hilarious improv performance? Check (below). 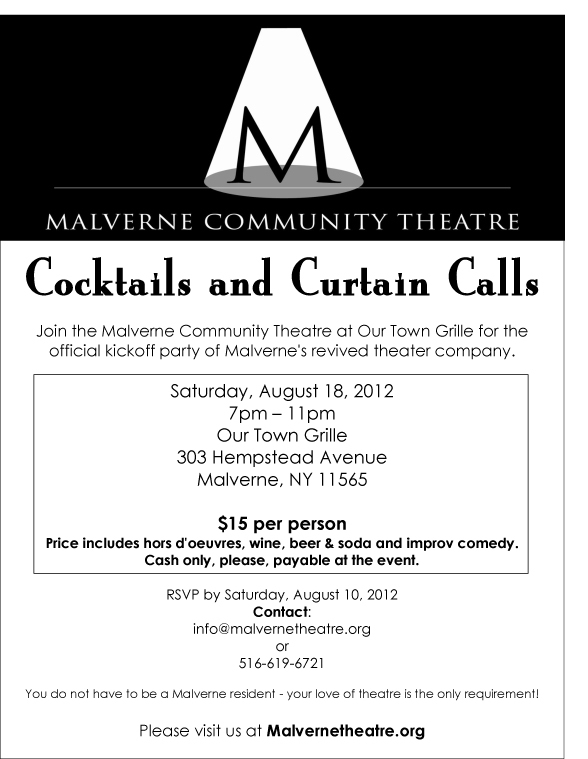 New theater is a good thing, so help support. Special thanks to Nick Gambella for shooting and editing the video.